First and foremost photo credit to LuAnn Hunt, Sweet Briar graduate class of 1990, for capturing one of the most lovely drives through Sweet Briar College. If I were to continue following that gravel road I would come up to the barn - more formerly known as the Harriet Howell Rogers Riding Center. 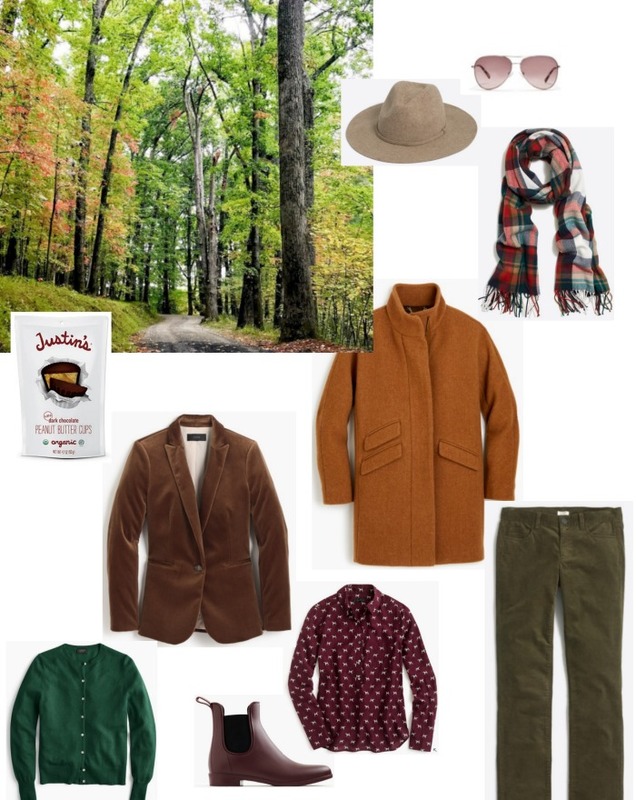 So, a selection of Fall wardrobe staples from J Crew and J Crew Factory..... And because Halloween is just around the corner, don't get me started on (too late) Justin's Dark Chocolate Peanut Butter Cups!